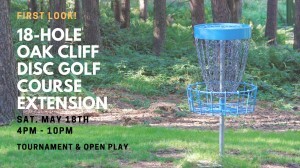 - 10:00pm Join us Saturday, May 18th at Oak Cliff Founders Park for a disc golf tournament and open play. We'll be unveiling 9 new holes that extend into the former Oak Farms Dairy site, across Marsalis Street. 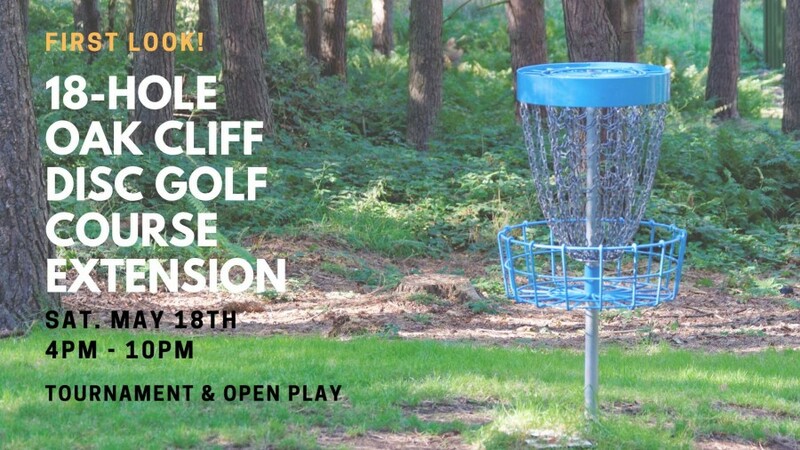 We'll give demonstrations, have open play, and have a multi-skill level tournament! Don't play? No worries! We'll also have a Biergarten with beverages and snacks! Come hang out and enjoy incredible views of downtown. No advance registration required to play. Bring $10 for tournament play! Great prizes will be awarded for the winners in each category!